Unheated, astrological blue sapphires: Vedic astrology, Jyotish, Aurveda. High quality, astrological, jyotish gemstones. The Planetary Gems Co. Your trusted source for Vedic, Jyotish, planetary blue sapphires. Saturn rules patience, humility, honesty, acceptance, willingness and surrender. In this sense, we can understand Shani | Saturn as the planet that rules virtue. We can honor Saturn | Shani by wearing an unheated blue sapphire, wearing the color blue, and by respecting our elders, performing community service and embodying all virtues including surrender, patience, humility and steadfastness. If you want to know more about the gemological and astrological-healing properties of blue sapphires, click here. 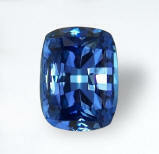 Brilliant & pure, good ring size, 3rd party certified unheated, Ceylon blue sapphire. A beautiful and vibrant, unheated, Ceylon blue sapphire hailing from the gem fields of Balangoda, cut and polished in Ratnapura, Sri Lanka. 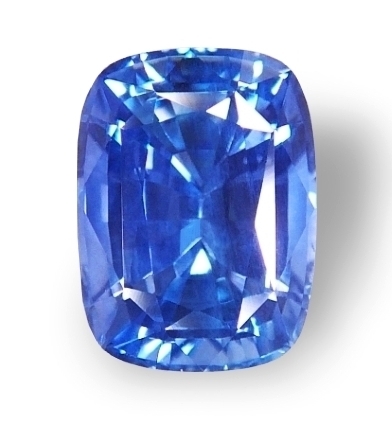 The pic does not do justice to the luster, scintillation and eye appeal of this sapphire. Simply enchanting and uplifting. Have it mounted in any setting, this gem will guarantee to amaze you forever. Certified unheated by the GIL (Gemological International Laboratories - Canada-Thailand). Classic cut and color, 3rd party certified unheated, Ceylon blue sapphire. Very amiable, 3rd party certified unheated, Ceylon blue sapphire, mined in Marapana, cut & polished in Ratnapura, Sri Lanka. Classic cornflower color and lovely cushion shape, as clean as it gets and possessing a soft, yet powerful energy. Great price for a no heat Ceylon blue of this quality. Certified unheated by the GGTL (Global Gem Testing Laboratory, Sri Lanka). 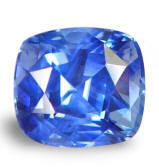 Sensuous, very well cut for large appearance, 3rd party certified unheated, Ceylon blue sapphire. Nice color. A definitely captivating, 3rd party certified unheated, Ceylon blue sapphire, hailing from the gem fields of Marapana, Sri Lanka. A very well cut sapphire with a face of a 2.7-2.8 cts. stone. This gem retains a fantastic color even in low incandescent light, without shifting to purplish-blue like many "cornflower" hues. Very well cut & clean, this is offered at an old price. Not to be missed. Certified unheated by the TGL (Tokyo Gem Laboratory, Bangkok), and the GIL (Gemological International Laboratories, Canada-Thailand). 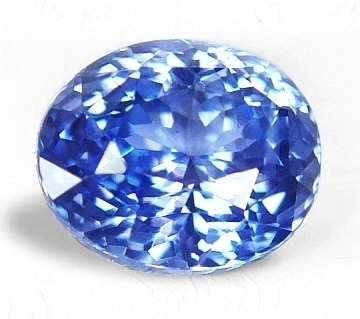 Seductive, good shape & beautiful unique color, unheated, Ceylon blue sapphire. 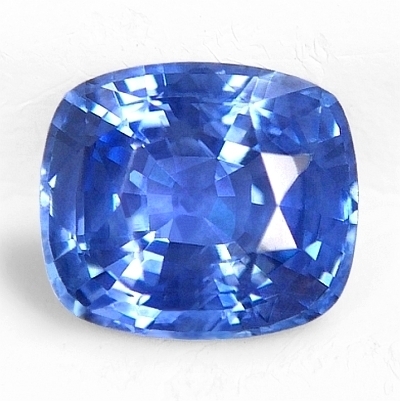 A beautiful, unheated sapphire here. This unheated, Ceylon blue sapphire was mined in Marapana, cut & polished in Ratnapura, Sri Lanka. It has some color shift to slightly purplish cornflower blue under incandescent light. 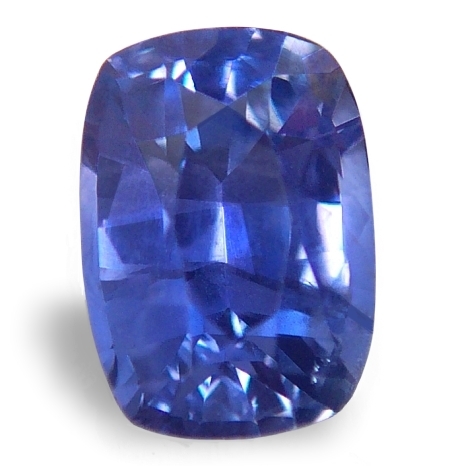 With prices for unheated sapphires soaring, this is an exceptional buy and a great value, destined to appreciate as time goes by. 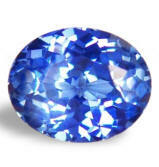 Auspiciously serene, very charming, 3rd party certified unheated, Ceylon blue sapphire. Beautiful. A most beautifully shaped, 3rd party certified unheated, Ceylon blue sapphire hailing from the gem fields of Ratnapura, Sri Lanka. Classic "antique" cushion with a very pleasing, medium "cornflower" blue. Fine clean clean clarity too. Accompanied by a SGL (SanGems Laboratories, Ratnapura, Sri Lanka) certificate stating "no indications of heating" detected. Ceylon blue sapphire. What a deal this one. Well, here a blue sapphire with excellent color that has been only low heated traditionally. Hailing from the gem fields of Balangoda, and cut & polished by our Ratnapura cutter. Marvelous, super cutting, as clean as it gets, good ring size, this a blue sapphire that exudes perfection from every angle. An excellent medium-dark, Ceylon blue at an incredible low price. Low heated only, no any other funky treatments. Spell-binding shape, ethereally mystical, certified unheated, Ceylon blue sapphire. Gorgeous shape...sattvic sapphire. An alluring, 3rd party certified unheated, Ceylon blue sapphire from the gem fields of Ratnapura, Sri Lanka. I really love this shape, so unusual and peaceful. Extremely clean, unheated crystal quality, this is a gem that set very high standards if you are looking for cleanliness, order of forms, and a sweet and sattvic feeling you want in a blue sapphire. Independently certified by the "Lakshani Gem Testing Lab" of Colombo, Sri Lanka as unheated. Your classic, absolutely perfect, certified no heat, Ceylon "cornflower" blue in a perfect, "antique" cushion shape. A real beautiful one. A perfectly auspicious, 3rd party certified no heat, Ceylon blue sapphire, hailing from the gem fields of Marapana, Sri Lanka. Perfect "antique" cushion shape, flawless clarity, well cut with ideal proportions, this is a sapphire that needs no introduction. A very, very beautiful one that will guarantee to attract the benevolence of Saturn, and will definitely uplift your existence. Independently certified by the "Tokyo Gem Laboratory", Bangkok as unheated. 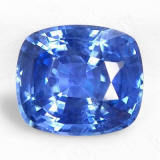 Very beautiful color, clean & well cut, offered at a great price, 3rd party certified unheated, Ceylon royal blue sapphire. For your cherished heirloom. And here is a a top, royal blue color that has been certified no heat by Emil Gem Lab, Bangkok. This beautiful, completely natural sapphire, hails for the gem fields of Nivitigala, cut & polished in Ratnapura, Sri Lanka. If you like a top, royal blue color, good ring size, well cut & clean at wholesale price, well, here is a sapphire that fits the requisites. Certain to appreciate as time goes by. 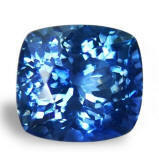 Mesmerizing, great deep color, perfect cut and eye flawless clarity, unheated, Ceylon blue sapphire. Super one. Great deep blue color in this unheated, Ceylon blue sapphire, which was mined in Balangoda, cut and polished by our cutter Kumar in Ratnapura, Sri Lanka. Exuding magic and spiritual stability, this unheated blue is also blessed with fine eye appeal and great luster. Offered at a great low price for this quality. 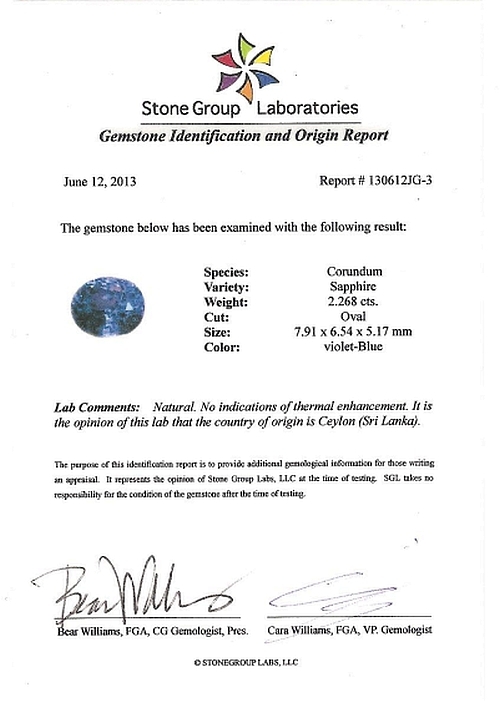 Independently certified by the "Global Gem Testing Laboratory", Colombo, Sri Lanka as unheated. Just a perfect, auspicious, unheated, Ceylon blue sapphire. sapphire. Flawless, great face, perfect color, completely natural. 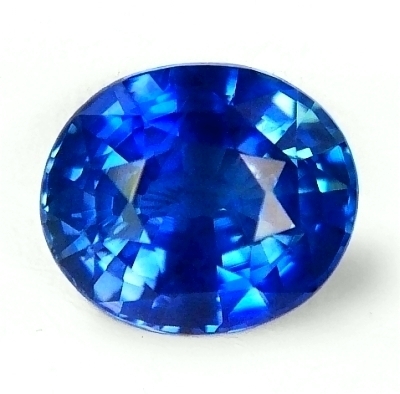 Ultimate, Jyotish quality blue sapphire. This perfect gems hails form the gem fields of Nivitigala, cut & polished in Ratnapura, Sri Lanka. 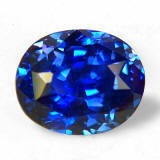 If you are looking for a perfect and auspicious blue sapphire to enhance Saturn in your Vedic chart, look no further. 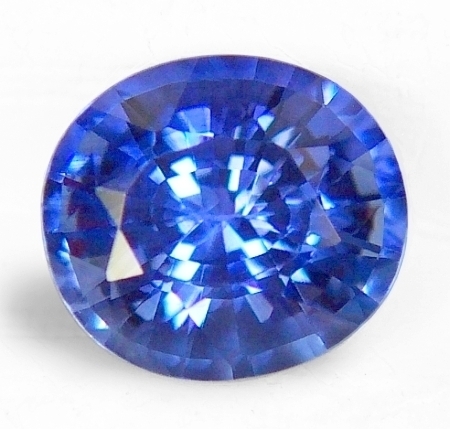 Simply a most perfect, gracious, unheated Ceylon blue sapphire for that special somebody. 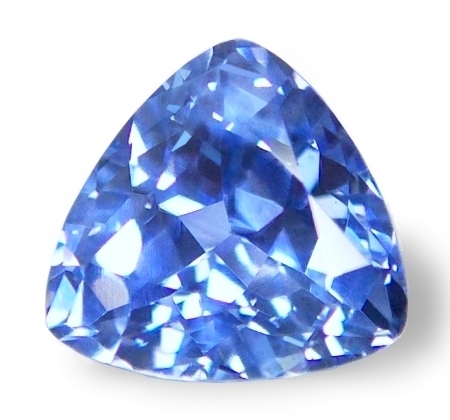 Delightful, definitely auspicious, very well cut, unheated, Ceylon "cornflower" blue sapphire. Great price. A purer "cornflower" no heat, Ceylon blue from the gem fields of Kuruvita, Sri Lanka. Even during our last trip to the island-nation of Sri Lanka, despite an-all-time high prices for any kind of gemstones mined locally or imported from abroad, we managed to obtained few blues, completely natural, without treatments, at exceptional low prices for the quality offered. Shop with confidence here.